The telephone has been a crucial part of businesses since its invention and over the years, technology has just improved it. These days, reliable telephone systems are a must for any business, large or small. It’s obvious why large businesses need voice communications. With soaring demand, you can expect their lines to be filled with phone calls at all hours of the day. On the other hand, small businesses may not have the same demand but a dedicated telephone system provides them with many benefits either way. 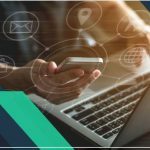 In this short guide, we’ll walk you through these points and how One Call Communications can help you find solutions to your small business’ needs. Can you imagine running a small business with no telephone or telephone systems in place? Your communications infrastructure could very well mean the difference between success and failure. These days, you have several options at your fingertips. 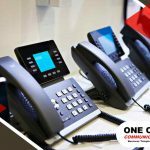 You can choose from a pure IP or PBX system that can handle 1000 connections easily or you can use existing systems with our cloud-based or hosted VoIP and expect zero capital expenditure. 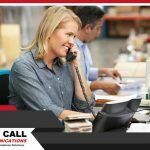 Getting reliable telephone systems installed will give your business plenty of advantage. Should you need to improve upon them, it’s completely easy as well. Basic features are important, but One Call Communications can provide you with additional features should your business need them. A single integrated system has considerably lower costs than individual telephone systems and phone numbers. In addition, its many features and capabilities allow for better efficiency among your people. You can have a client’s call directed immediately at the person well-equipped to answer any questions or inquiries. Give us a call at our toll-free number at (888) 323-0557 today. 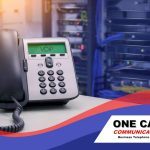 At One Call Communications, our professionals are dedicated to working with you to help you find the solutions for all your business’ needs. Our services are available in Raleigh, NC, and surrounding areas.